Eating a balanced, plant-based diet is not only the best choice for your health and the planet- these foods are also essential for your mental and emotional well-being. Marrying traditional wisdom and modern scientific and medical research, a vegan macrobiotic approach recognizes the profound effects food, environment, activities and attitude can have on your physical and emotional health. Drawing upon traditional and contemporary cuisines around the globe, our teachers show us how this diet can improve many aspects of our life. 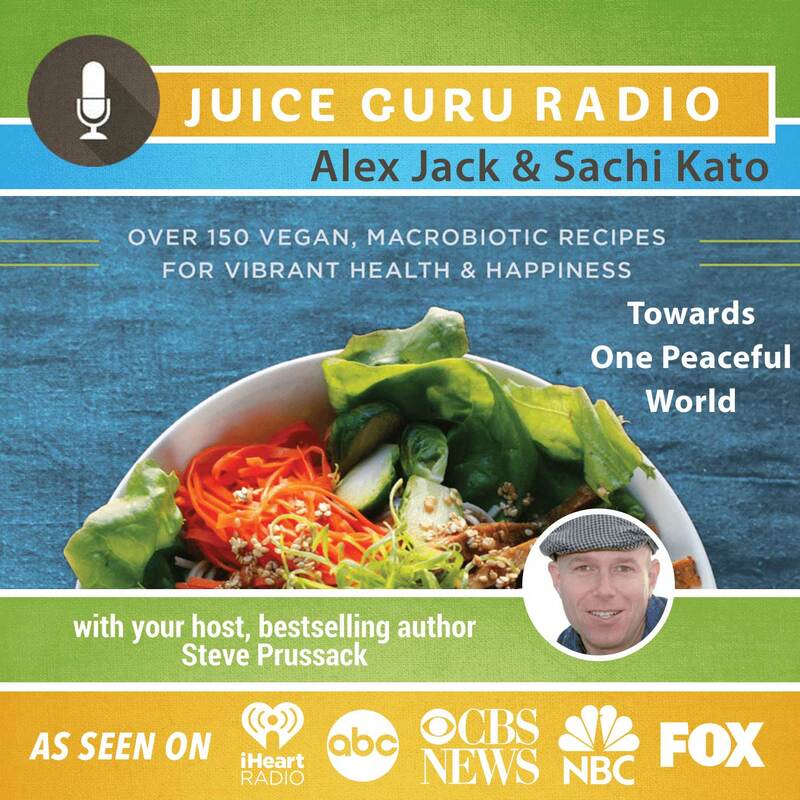 Alex Jack is founder and president of Planetary Health, Inc.; sponsor of Amberwaves, a grassroots network devoted to promoting whole grains and other natural foods; and codirector of the Macrobiotic Summer Conference. He has helped introduce macrobiotics to China and Russia and has written many books with Michio and Aveline Kushi, including The Cancer Prevention Diet, Diet for a Strong Heart, Aveline Kushi’s Complete Guide to Macrobiotic Cooking, The Macrobiotic Path to Total Health, and The Book of Macrobiotics. Alex taught macrobiotic philosophy, healthcare, diagnosis, and cooking at Kushi Institute, where he served as executive director and chairman of the faculty. He lives in the Berkshires. Click here to discover the macrobiotic wellness retreats. Sachi Kato grew up in a multigenerational household in Gifu, Japan, where she learned traditional methods of food harvesting and preparation from her family members. Sachi trained and worked as a macrobiotic chef at Kushi Institutes in America, Japan, and Europe. She completed the comprehensive Macrobiotic Leadership Program, in which she studied cooking, healing, philosophy, and Oriental diagnosis. Sachi has since taught classes in these subjects at the Kushi Institute, as well as to the public in California, New York, and Japan. Employing her professional photography skills to capture the vibrant images of the dishes that appear in the pages of this cookbook, Sachi contributes her efforts as both a visual and culinary artist. She is currently based in the San Francisco Bay Area. Click here to find out more about Sachi Kato.